Mathilde Buenerd is a creative technologist whose work explores the connections between language, algorithms and social relationships. Her work embodies various forms like mobile apps, web extensions, connected devices or generative art. Her main interest lies in how technologies could permit alien ways of looking at things. After studying graphic design and media art, she obtained a master's degree in interaction design from the Geneva School of Art and Design (HEAD). 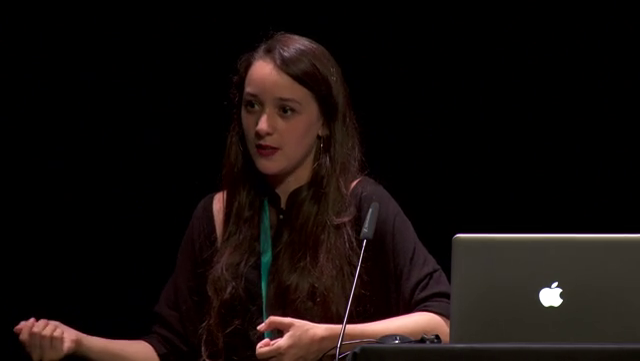 Her work and lectures have been presented in international events and institutions such as Fak'ugesi Digital Residency (Johannesburg), HER Arts + Data + AI festival (Roma), Lift Conference (Geneva), Fondation Vasarely (Aix-en-Provence), Design Junior Research Conference (Zürich), Ludicious (Zürich), Maker Faire (Grenoble), Freeson (Avignon), Eniarof, Fondation Martin Bodmer (Geneva), GSGS (Neuchâtel). Converser à l'ère de l'autocomplétion, master thesis, soutenue le 15 mars 2018. Master Media design, HEAD - Genève. Optimized talk : what future for digital personal assistants?, GSGS 2018 Proceeding book. Meet the Artists of the 2018 Trans-continental Fak’ugesi African Digital Residency, Bubble Gum Club South Africa, 08.2018. _Design d'interaction, Humour & Intelligence artificielle, Humours numériques, Le numérique n'est-il qu'une grosse blague ? Bibliothèques de Genève. 18.10.2018. Slides. Introducing Chili Design, Fak’ugesi Talks: Premonition and Digital Imaginaries, 06.09.2018. Johannesburg (South Africa). Slides. How autocompletion is going to change the way we interact with each other ?, Junior Design Research Conference, 10.11.2017, ZHDK (Zürich). Slides. Want to collaborate? To see more?